We recently posted about the exciting Digital Marketing trends we’re looking out for in 2019. Often those trends are far from being implemented in the average small business’ marketing strategy, but when it comes to design, we can confidently predict what’s coming. 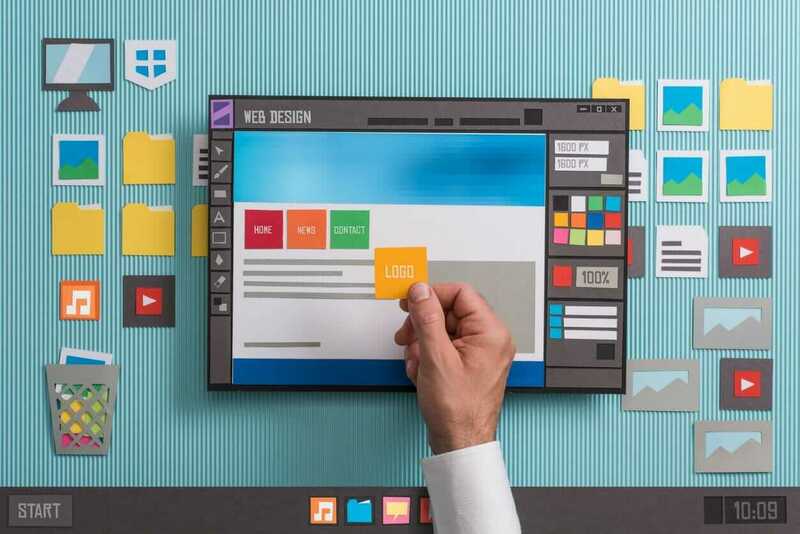 So we’ve rounded up our top four website design trends for 2019. We’re often telling people not to follow website design trends and to always aim to create a website that stands the test of time, however we can’t deny that some website trends are beneficial to the web ecosphere; layouts with whitespace, unboxed websites to name a few. Since the Mobilegeddon in 2015, the internet has become a playground for clean grid based layouts with evenly spaced and evenly sized elements. Not anymore, grid layouts don’t have to follow a ruleset, and web designers across the land are standing up and taking notice. Removing the requirement for a grid to be uniform adds a sense of dynamism and depth. Typography should always blend design and readability, without readability you’ve really just got a pretty picture. Serif fonts have been more recently used across news websites, blogs, articles, and medium, however serif fonts are making a comeback all across the web. In 2015 Google launched their new logo which was the first major change to their logo since 1999, this was a sans serif logo. Gone are the days of all the scalability issues serif fonts are known for, the new logo was perfectly aligned with Google’s design language; material, typically web designers followed suit and what ensued was a lacklustre Helvetica based internet. Web designers are now creating designs incorporating large serif based type and this is adding personality back into the internet. Typical grid layouts create a perfect environment for circles, squares and rectangles, 2019 will see the rise of more organic shapes used across websites. Organic shapes provide a more natural and comfortable transition through websites. Whilst traditional grids provide a heavy structure and stability in the design of a website, using organic shapes will create a natural feel and a sense of accessibility to your website. We predict that we will see more natural and organic shapes across the internet in 2019 as designers break free from the traditional layout grid and start experimenting with alternative layouts. Adding simple and subtle animations to your website makes your website appear more usable and more reactive to your user. A great example of micro animations within a website is Apple’s various product landing pages. Micro animations provide a great way of presenting your information and building suspense during the presentation of your information, adding playfulness through animation is something we’re going to see a lot of in 2019 as designers experiment more with natural user experiences. That’s our roundup of some of the top trends we think will really gain traction across web design in 2019, these are all great trends and we’ve noticed a move over the past couple of years toward trends that are starting to stand the test of time. Is your website out of date? Or need a new website? Get in touch with Digital Glue and find out how we can help.